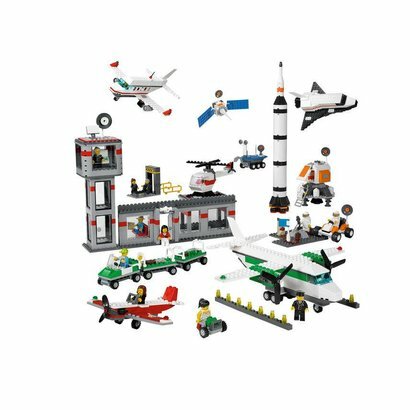 With this set, children can investigate topics such as travel, air traffic control, space, aliens and communicating with others. It includes elements for building a space shuttle, airplanes, satellites and much more. Five illustrated inspiration cards provide model and building ideas and minifigures. Includes medium storage box.